Luck. It comes in many shades. Sometimes it is good and sometimes it feels bad. Sometimes it is as brilliant as one of our July rainbows over the mountain. Other times it is as a dark as a winter’s night without a moon. I know one thing—we are all pretty lucky to live or be able to spend any time here. I hear it all the time from people who visit or just moved here. I see it when I climb the mountain in the morning and am struck by the sun hitting Gothic Mountain. I hear it in the silence beneath the brilliant constellations that explode from above in our clear night skies. Those who bemoan their bad luck in being forced from town might take a breath, look around, reevaluate and begin figuring out how to change their “luck” if they want to stay in the valley. It’s possible. It may not be their dream scenario but living here is living the dream. And any real dream usually takes some compromise and sacrifice. Friends from Australia were here recently as part of a month-long sojourn through the states. They spent six days on the hill after visiting D.C. and New York City. Then they went off to the Grand Canyon, Vegas and Los Angeles. I talked to them before they flew back. They had just had dinner at The Ivy, a world-renowned restaurant in L.A. They had made a point to eat Italian at Carmine’s in New York. But it was the food in Crested Butte they were still raving about. They had sampled the steaks, burgers, pizza and Asian offerings along Elk Avenue and it was the cuisine of Crested Butte that left the impression over the offerings in some of the most famous cities to tout food in the country. We are lucky. Chatting with first-time visitors to Crested Butte this past weekend, it is obvious this place is different. I am seeing so many more people from Denver and the Front Range. They really are tired of the I-70 traffic jams and are starting to understand that driving here and encountering what locals perceive as lift lines is a far better bang for the ski buck than heading to Breckenridge to really feel like a piece of cattle in an hour-long lift line. Thirty minutes at East River or ten minutes at Paradise on a sunny day is easy compared to what the interstate resorts are offering. I did chat with a family who felt Crested Butte had an isolated and really small feel to it. They had recently been in Park City. I like Park City but they are right—Crested Butte retains a small town feel and with its vast undeveloped open spaces, it emits a vibe of being a little island in the mountains. Not everyone probably feels comfortable with that feeling but for those who do, it is special. The climate change of the “Global Weirding” deal is one that isn’t lucky for anyone, including us. 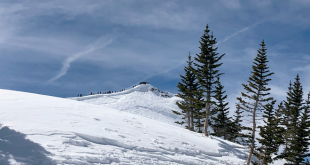 But we might be a bit luckier than others, as Crested Butte is higher in elevation and normally colder than many other ski towns and resorts. A recent study by NASA scientists seems to indicate that there is a real chance the entire southwest United States, including central Colorado, could experience a “megadrought” soon that will last for decades. They say the severe drought some of the region is now experiencing will pale in comparison. According to the Washington Post, based on climate models the researchers used for the study, there is an 80 percent chance that such an extended drought will strike between 2050 and 2099, unless world governments act aggressively to mitigate impacts from climate change. That isn’t lucky for anyone and will impact the drinking water and wildfire situations. This community should certainly consider the potential of a “megadrought” in the big picture, whether it is in consideration of annexations and growth (hint, hint) or just how to live and do business in the future. Water might be more important than everything else pretty soon. 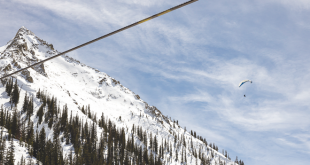 At the end of January, Denver hosted the SIA (Snowsports Industries America) trade show and one of the most talked-about presentations came from ski industry executive Bill Jensen. He told those in attendance that the ski industry is facing huge challenges and predicted at least 150 of the 470 ski areas in the U.S. will fail and turn off the lifts. He delineated the resorts into five categories: Über, Alpha, Status Quo, Survivor and Sunset. 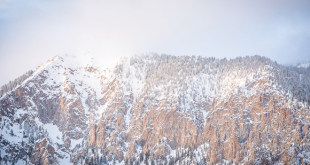 The 45 areas in the top two tiers account for about 40 percent of all ski business and are the winners. Crested Butte isn’t in the top two tiers. It fits more in the Status Quo and needs big years to stay afloat. While probably “too big to fail,” Crested Butte has a harder time than the Aspens and Deer Valleys of the world. It seems Crested Butte is a make-your-own-luck kind of place. Speaking of that, it is still possible to make your own luck in this valley. You won’t always get everything you want and sometimes it takes a lot of luck to be able to make it here but with hard work and some fortune, those who want to, can usually figure out ways to stay and grow here. Don’t go blaming the new people or the old timers. Be like the place—and think outside of the box. Remember, most of the time, you make your own luck.